Home / Blog / Why is injection moulding so expensive? Cost is always a major consideration when you’re choosing the best plastic manufacturing process for creating your plastic products. The tricky thing is, however, that the costs are often relative, and can go up or down depending on a number of factors including (for example) the size of your product, how many you need and how quickly you need them. This means that while processes like injection moulding can be an economical option for some businesses, for others it can be prohibitively expensive. In this week’s post, we’ll examine a bit more about why these costs can rise to be quite so high, and why our own roto-moulding process can be a particularly viable alternative. We recently went into a bit of detail on exactly how injection moulding works – essentially, pressured injectors introduce hot plastic into a pre-formed mould. As the plastic cools, the plastic part forms and then the mould is split apart so that the final parts can be extracted. Now, one of the key steps that often has a major influence on cost is the tooling stage. Since plastic products created using injection moulding are generally smaller and more intricate than those created by rotomoulding, there is naturally a higher investment of time and labour involved in creating them, which can ultimately increase the cost. What’s more, since there is often a smaller size limit on the sort of parts that can be created by injection moulding, this means that several separate tools might need to be manufactured in order to produce all the parts used to make the larger final product. Most injection moulds are machined from high-grade steel and the cavity of each tool is machined, ground and polished to extremely tight tolerances. In other words, the manufacturing process is much more exacting as the tools are machined to incredibly precise definitions, and naturally this more intensive process again results in an associated rise in cost. Even once the tooling process is complete, it’s important to note that injection moulding is an almost entirely automated process, compared to other forms of plastic manufacturing. This means that once the lengthy design and tooling process is complete, the actual manufacturing process is relatively quick. However, you’ll need to create a lot of plastic products, often into the hundreds or thousands for those initial investments to level out! Why is rotomoulding often cheaper? Roto-moulding, on the other hand, can be an excellent economical alternative for small to medium batch runs of between 1 and 100. One factor that makes roto moulding cheaper and more cost effective than injection moulding is that the level of product detail required is often lower; products are usually more simple and therefore tooling costs reflect that. 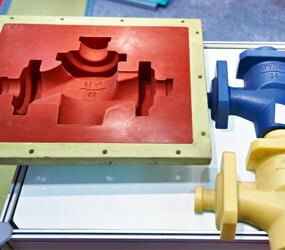 Roto moulded products tend to be larger and variations in wall thickness and shrinkage are accepted as being the norm, whereas with injection moulding the end product has to be far more precise. That’s not to say that roto moulded products are always simple and straightforward, of course; it’s worth considering that more complex technical roto mouldings are frequently used by a vast array of industries including the aerospace, defence, leisure and construction sectors – just to name a few! In fact, here at Excelsior we frequently manufacture a number of plastic products that require very tight tolerances, so it usually just depends on the specific application in question. Now, if you’re wondering exactly “how much does rotomoulding cost?” it’s very difficult to put a hard and fast rule on it. As we touched on above, it depends on a lot of factors! To give you a headstart though, one of our recent posts outlined a couple of examples of the sorts of products often made with roto-moulding, so if your idea for a plastic product falls into any of those categories, chances are that you’ll find roto-moulding to best suit your needs. Alternatively, you can click here to discover more about the process of rotomoulding itself, or if you have any questions or need any advice, feel free to give us a call on 0161 765 2010!